NEW DELHI, Mar 19 2012 (IPS) - By allowing a generic manufacturer to produce a patented cancer drug at a fraction of its current cost, India has declared that it is not about to abandon its role as the ‘pharmacy of the world’s poor’. In a path-breaking move on Mar. 9, India’s patent office invoked compulsory licensing (CL) provisions under World Trade Organisation (WTO) rules to allow generic drug manufacturer Natco Pharma to produce and sell ‘Nexavar’ in India, a drug developed by the German pharmaceutical giant Bayer to treat liver and kidney cancer. CL allows generic manufacturers to produce a patented drug or use a patented process when denied by the patentee. It is an important ‘flexibility’ clause in the WTO agreement on trade-related aspects of intellectual property rights (TRIPS), but one that countries capable of manufacturing generics are still putting to test. The issue has aligned non-government organisations (NGOs) and the manufacturers of generic drugs with those governments prepared to take on powerful pharmaceutical multi-national corporations (MNCs) that sell drugs worth more than 800 billion dollars annually. “India always had CL provisions, even in its original 1970 patent laws. In 2005, when amendments were made to make WTO laws consistent, CLs were retained and this was a major achievement (of the Doha declaration of 2001),” Sachin Chaturvedi, senior fellow at the Research and Information System for Developing Countries, a think-tank of India’s ministry of external affairs, told IPS. “More generic drug manufacturers in India are sure to come forward now and seek licenses to cheaply manufacture drugs and make them accessible to the poor,” said Meera Shiva, chairperson of the Health Action International – Asia Pacific, an NGO dealing with public health issues. "BRICS Can Ensure Affordable Drugs"
Shiva told IPS that the cost of treatment with Nexavar – the trade name for sorafenib tosylate – is expected to drop by nearly 97 percent, from 5,500 dollars for a month’s treatment per person to about 175 dollars, once production of a generic version by Natco Pharma begins. Shiva said what is significant is the realisation that avenues exist within the WTO for governments to intervene on behalf of their people and ensure access to medicines in the face of attempts by pharmaceutical MNCs to keep profit margins high. Volunteers for the humanitarian organisation Doctors Without Borders (known by its French acronym MSF) in Brazil and South Africa – countries that have benefited from the Indian generics industry – hailed the Indian move. 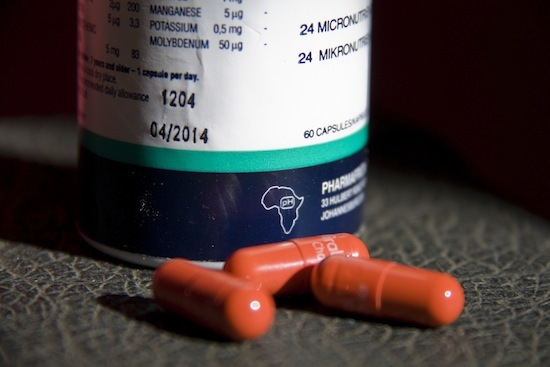 “In 2007, the Brazilian government issued a CL for the drug Efavirenz, used to treat AIDS, after declaring it of public interest,” said Felipe de Carvalho, project officer with MSF’s Access Campaign in Brazil. “Right after the issuance of the CL for Efavirenz, while local production was being developed, Brazil bought generic versions from Indian generic producers,” de Carvalho said. “In 2007 alone, the purchase of cheaper versions of Efavirenz represented savings of 30 million dollars. “So, if the use of CL in India is expanded and allows for exportation, countries like Brazil can benefit from the resulting generic production, as happened in the case of Efavirenz,” de Carvalho told IPS. When the Brazilian government issued the CL for Efavirenz, the country became the target of intense denouncement by pharmaceutical companies and developed country governments, de Carvalho said. Catherine Tomlinson, senior researcher at the Treatment Action Campaign in South Africa, said it was “heartening to see India’s ongoing resistance against pressure from developed countries to not use the TRIPS provisions to protect health and we hope it will serve as a positive example for our own government. “For activists in South Africa, it is distressing that our government continues to bow to pressure not to use CL provisions, despite the country facing numerous health emergencies and many critical medicines remaining unavailable to the majority of the population,” Tomlinson told IPS. Leena Menghaney, a lawyer who works for MSF’s Access Campaign in New Delhi, said India’s patent laws had many advantages. “CLs can be issued to generic producers if patented drugs are unavailable or unaffordable, or if countries that lack production capacity order drugs from India. “In fact compulsory licensing, under Indian law, is not reserved for emergencies – this is another myth spread by the MNCs,” Menghaney said. Between 1970 and 2005, India did not recognise patents for medicines, allowing the growth, in that period, of a large and powerful generic pharmaceutical industry that takes care of 70 percent of domestic demand and also exports 11 billion dollars worth of generic drugs annually.